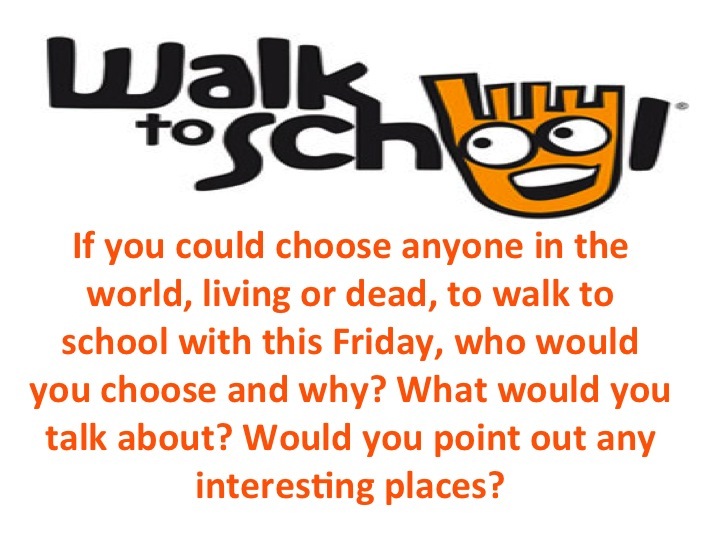 Thought for the Week: Who would you most like to walk to school with and why? Previous Post Thought for the Week: It always seems impossible until it’s done. I would like to walk to school with lot’s of famous people ,mainly One direction because i’m a huge fan of them and i can talk about being in their new song’s. Lily-Rose (Emerald Class) I would like to walk with Taylor Swift to school because she is my favourite singer and song writer. I whould recommend Bethany because she is my best freind and she is funny . What a wonderful video. Thank you Ellie and Charlie. We all enjoyed watching it in assembly. Mr Hanser, in particular, was dancing away to the Proclaimers.